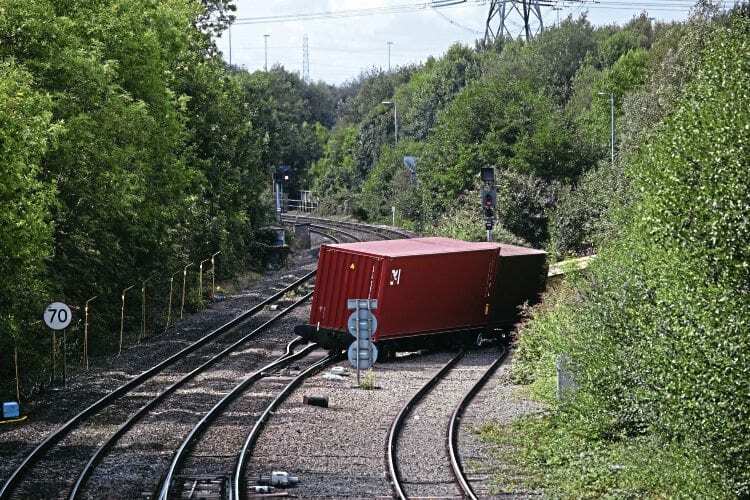 THE derailment of a Hams Hall to Felixstowe intermodal train at Whitacre Junction on September 12 caused disruption for passengers on freight services between Birmingham and Nuneaton that lasted several days. GBRf’s No. 66751 Inspiration Delivered was hauling 4L22, the 14.35 to Felixstowe out of Hams Hall terminal, onto the main line when seven of the train’s 32 wagons derailed, four rolling on to their side. There were no injuries, but the eastbound access track into Hams Hall was significantly damaged. 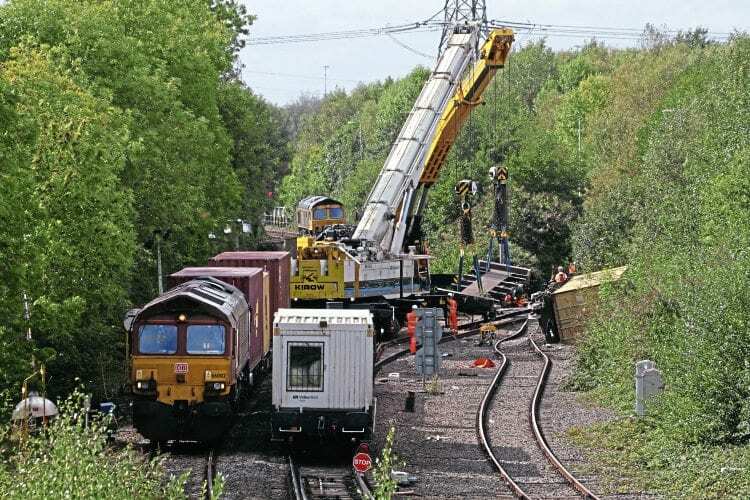 Trains for the terminal have since approached from the west after running round at Washwood Heath or coming via a diversionary route. Through CrossCountry services between Birmingham and Stansted Airport were diverted via the Castle Donington freight line between September 12-16, and a shuttle service ran between Leicester and Nuneaton, with road transport provided between Nuneaton and Birmingham International for onward connections. The line reopened to passenger services on September 17. The cause of the derailment is under investigation by RAIB, but a track fault is suspected.